SAMSUNG Galaxy A70 with 6.7" Infinity-U display, On-screen fingerprint sensor, Samsung Pass and 4500mAh battery announced. 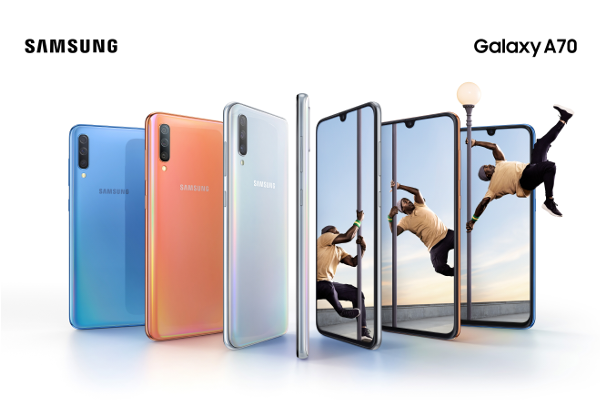 Samsung today unveiled the Galaxy A70, the newest smartphone in the popular Galaxy A range. The Galaxy A70 showcases a stylish design, large 6.7" infinity-u display, enhanced triple camera and a powerful 4500mAh battery.